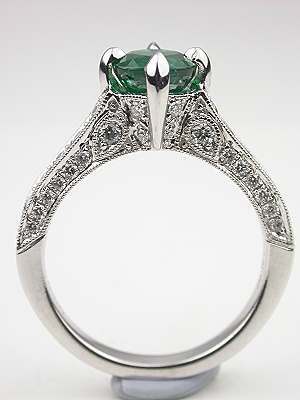 A magnificent mounting of filigree surrounds a green emerald in this antique style engagement ring. 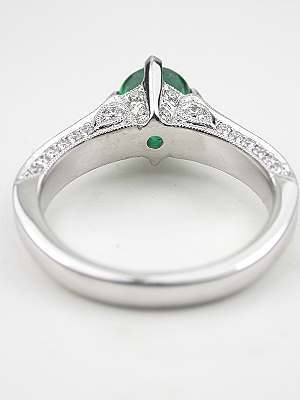 The 0.94 carat round emerald in this engagement ring is outstanding with a bluish green hue. 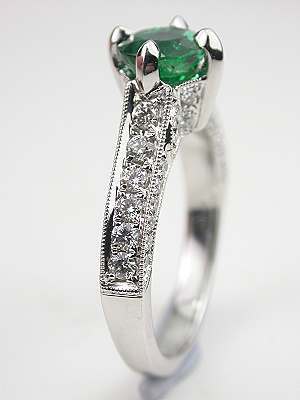 The 18k white gold band is set with forty-eight round brilliant cut diamonds cascading down the shoulder and shank. 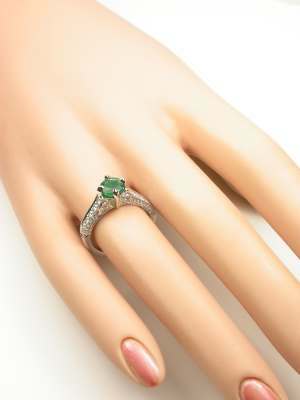 The combined weight of all the diamonds is 0.58 carats. 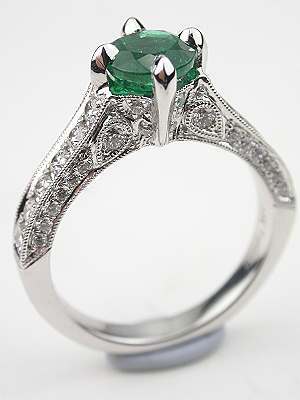 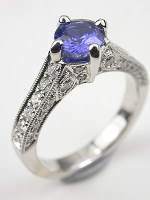 This is a new emerald engagement ring in the antique style. 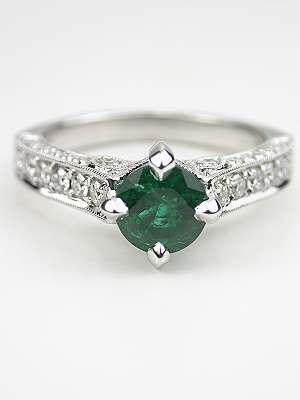 Other ring info Please keep in mind that emeralds require very special care.